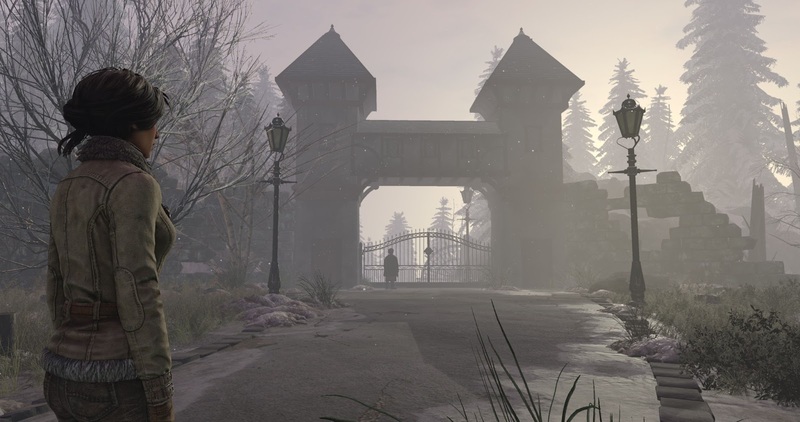 Syberia is hardly a household name, but there is a long-suffering community for it, and they’re going to be happy that Syberia 3 came around. 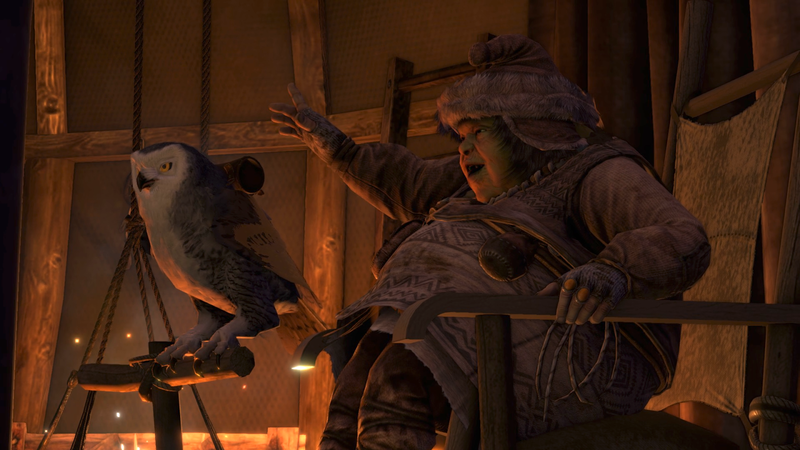 Syberia 2 was first released in 2004; that’s 13 years ago, for people who are counting, and ended on a note making it clear that a third game needed to be made, in order to finish the stories of the game’s various characters. This included Kate Walker, the protagonist, and in a character-driven adventure game, leaving her story at the end of the second act is like getting halfway through a book only to discover that the second half is all blank pages because the author couldn’t be bothered to finish it. Thankfully, for us fans of the first two games, we have Syberia 3. Penned by the series creator, Benoît Sokal, the game very much feels like it’s a direct continuation of its predecessors. The problem is that there’s not a moment in the game that comes across as modern, either. Aside from a decent visual upgrade, this game very much feels like it was developed at the same time as Syberia 2 and only just now discovered. As a consequence, there is nothing in this one for people who don’t remember their time with the previous two games with the deepest nostalgia. Sokal himself hasn’t been so active in recent years, but Syberia 3, if it’s going to be worth anything to you, will be exciting for his involvement. His ability to infuse a vague sense of the sinister and the supernatural into the most mundane aspects, making everything feel quite contextual, is subtle and masterful. In Sokal’s world, a key isn’t just a key. Rather, it’s an antique of Lovecraftian menace that is nightmarish not only because it doesn’t work (trapping you in a place you don’t want to be), but also because you know what is waiting through that door isn’t much better. His worlds and narrative are small and confined, but meticulous in their detail; you’ll spend ages wandering around the smallest of environments trying to figure out the labyrinthine process to complete a puzzle, and then you’ll sit back and realise that, yes, you really did just spend half an hour in a single room. 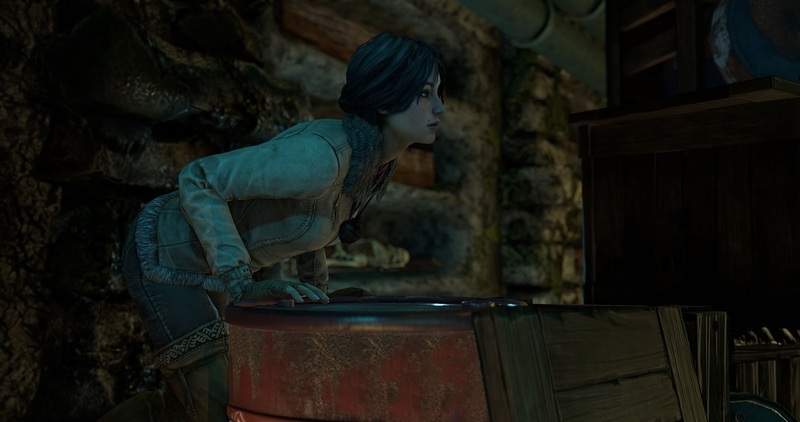 The new game takes the opportunities presented by the advancement in game development technology to give Sokal’s vision more depth, and the environments and characters tell compelling stories by themselves than the environments of the previous Syberia titles. Again, there’s a vague sense of the sinister infusing every detail in those environments, and I highly recommend playing through the game in as few sittings as possible, as the gradual build-up of that atmosphere, coupled with the small environments, becomes quite claustrophobic. There’s little actual threat presented throughout the game; this is a point-and-click adventure in its purest sense, but its ability to make you think that there’s danger out there is quite masterful. Unfortunately, the engine can’t keep up with ambition, and it really stutters at times. The smallest rooms putter on okay, but bigger rooms, or environments with more people and stuff going on inside them, have a habit of bringing the framerate down to a near stop. I’m not the kind of guy who usually cares about these things; I have difficulty telling 60fps from 30fps, to be honest, as long as it’s steady, but in this case, my eyes were hurting at stages from the shuddering frame rate. It’s also not the most robust development project, with frequent bugs that forced me to reset, and a control system that is simply cumbersome from start to finish. Again, in and of themselves, these aren’t issues I’m overly concerned with (bugs can be patched, or you can work around them, and cumbersome controls for a point-and-click are less of an issue than they’d be for a FPS), but with this game working so hard on its storytelling and atmosphere, each little technical fault pulls at the game’s fabric, slowly unravelling the work that has been done to focus the player on Sokal’s creativity. As I said, I’m a fan who has been on board with Syberia many, many times over the years. Indeed, I’ve played the first Syberia on at least three platforms (Nintendo DS, Wii U, iPad), and played through Syberia 2 a couple of times to boot. 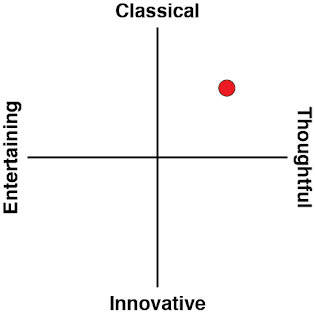 I’m able to focus my energy on Sokal’s writing, but others will be less comfortable with it from the outset. Sokal has a uniquely theatrical understanding of words, and I know that for a lot of people who play the Syberia games it can come across as stilted or overdone. 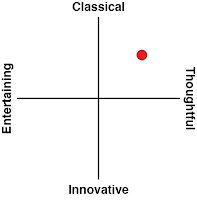 Certainly the characters tend to act and think in highly abstract terms that would be more at home in a Shakespeare play than a standard video game; which is not to say that Sokal is a writer comparable to Shakespeare, but his work does reflect a grandiose spirit where words are there to convey ideas, rather than literal meaning. What also lets Sokal’s lofty intentions down is a generally poor voice cast. Kate Walker is done well, but the supporting actors clearly struggle to grasp the nuance that’s being asked of their performances, and so pacing, timbre, and delivery tend to clash with the kind of rhythms the script was asking for. When a character continues to refer to Kate by her full name, for example, “Thank you, Kate Walker. Please come and see me again, Kate Walker,” it’s delivered in a way that’s aggravating, but was written to create distinct characters and cultures within the game. Speaking of culture, it’s difficult to really develop a sense of space, because the accents within the game tend to be all over the place. As the name of the game suggests, there’s meant to be a heavy Eastern European influence in the narrative, and indeed, the settings and general visual design are geared that way. So to have a mish-mash of accents, when it only really makes sense that Kate would have one, is off-putting and, again, weakens the narrative context that Sokal worked to put in the game. The final issue is a significant one; if you haven’t played the previous two Syberia games, then this one will instantly lose you. It outright assumes that you’re familiar with the events from the previous games, and doesn’t provide a summary anywhere near adequate to catch you up. 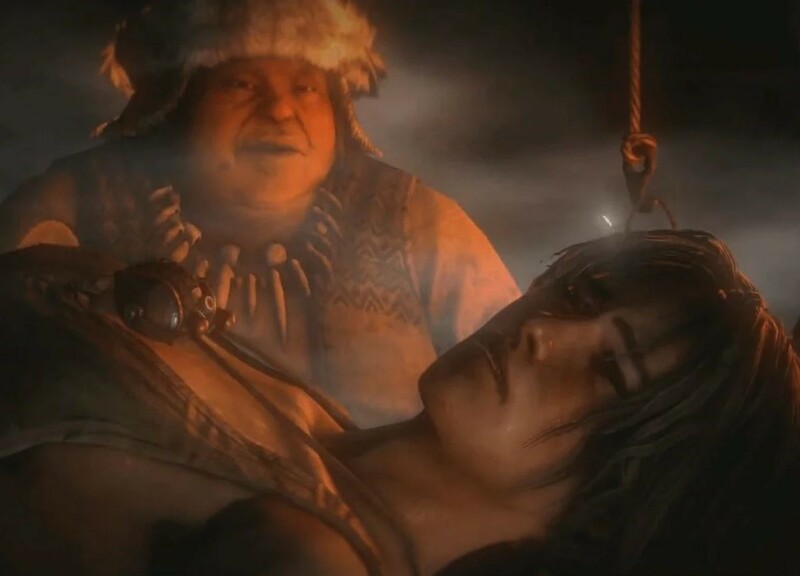 Given that it has been 13 years since the last Syberia, even many of the veterans of the series will want to replay the original games to remind themselves of what happened, and it’s a staggering oversight not to put a proper introduction in there for players.